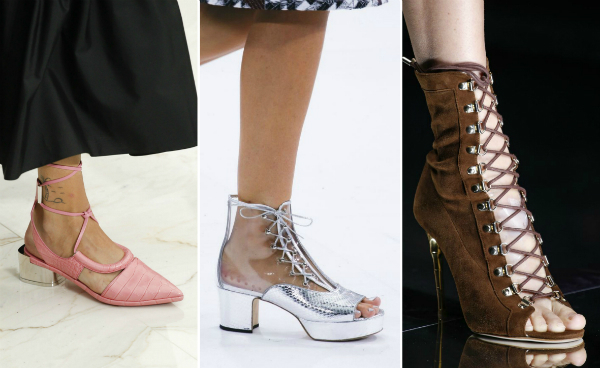 Spring 2016 shoes are quite interesting and polarizing. The sky high heels and platforms share runway with mid rise heels and comfy flats. Shoe noses ranged from square to very pointy and long. Peep toe shoes will be very much trendy this season. In terms of detailing there is lots of decorations, prints, and textures along with buckles and straps. A decorative heel is one of the biggest hits of the season. It can be clear, pointy, or hollow as you can see here. It can also come in an unusual shape or decorated with additional details. But eventhough the heel is a star there is just so much decoration the entire shoe features various details that catch the eye and command attention. Platforms is another big trend in footwear. 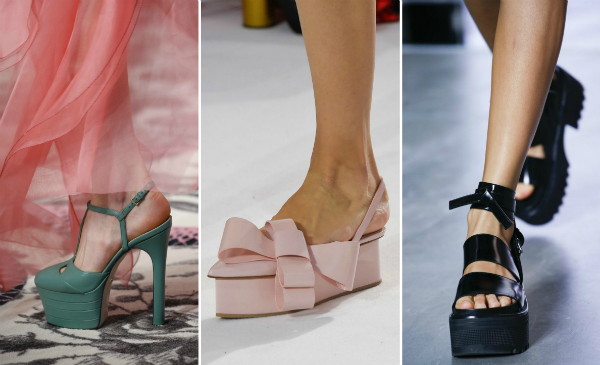 Platform heels, flats, and low heeled sandals were everywhere during fashion week so if you want to make a fashion statement it’s probably the best way to go. 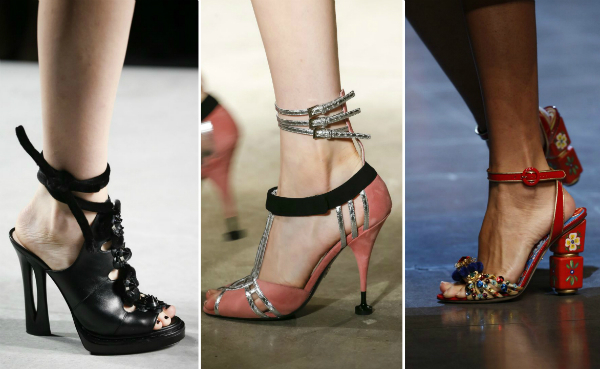 Lots of lacing only surpased the number of caged shoes on the runway. Both trends are very big and prevalent in shoe design, The height and heel don’t quite matter, you can find lacing in low, mid, and sky high heels as well as boots and trainers. But lacing isn’t everything. 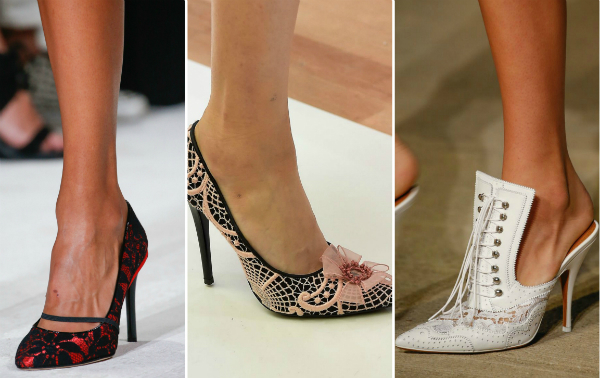 Lace is another peculiar footwear trend for this Spring that isn’t that common but makes for quite a dramatic look. 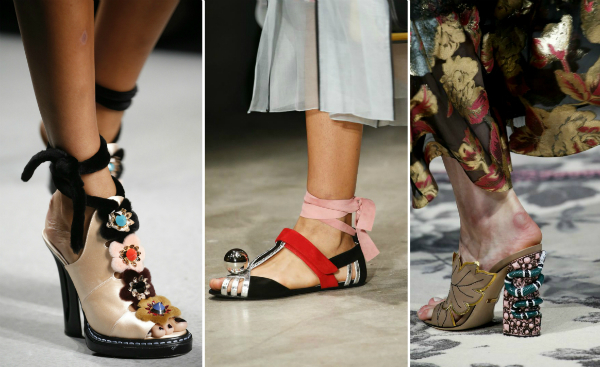 Spring shoes are all about dramatic decorations. Lots and lots and lots of them. From intricate leather detailing to beads, stones, ribbons, and straps, the shoe decor can be very abundant in one single shoe.